In honor of Garifuna Settlement Day (November 19th), Coco Plum will be offering traditional Garifuna cuisine along with local drumming and punta dancing lessons on each Monday of November. Come join us! 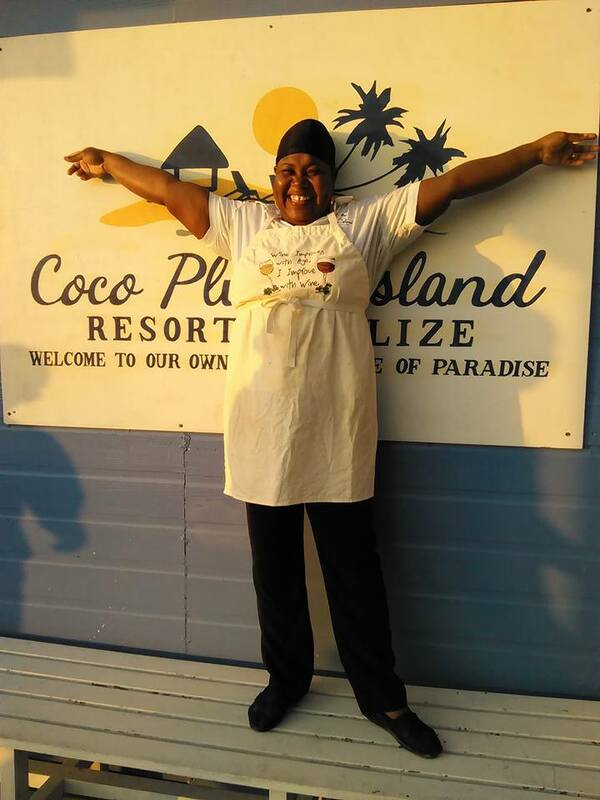 For those of you who can’t be with us in person at Coco Plum Island Resort, Ms. Jude wanted to share her hudut recipe with you! Hudut is a traditional Garifuna dish and is extremely popular around this time of the year in Belize. Think of hudut as somewhat of a savory fish stew. What makes hudut extra yummy is that its cooked in a fresh coconut milk sauce which adds extra flavor. Hudut is served with fu-fu, a mixture of mashed green and ripe plantain. Step 1: Boil green plaintains for 20-25 minutes, then set aside to cool. After cooling, mash until softened. Form small balls of mashed plaintain. Step 2: Season fish with salt and pepper and fry until brown. Then set aside. Step 3: In a skillet, pour the 2 cans of coconut cream. Dice the onion, garlic, okra and bell pepper and add to cream along with basil leaves, and the whole habanero peppers. Cook on low heat until okra is softened. Step 4: Add the fish to the mixture, and continue to cook for 20-25 minutes. Step 5: Salt and pepper can be further added to taste. Step 6: And you’re done! You can now add your plaintain to your creamy goodness and enjoy! Remember, Coco Plum Island Resort will be hosting punta dancing lessons and traditional Garifuna dishes on each Monday of November in honor of Belize’s Garifuna Settlement Day celebration on November 19th. We have some ongoing specials for the month of November … Contact us directly to reserve your cabana because there are limited cabanas available!